Melbas are my FAVORITE Christmas treat. My mom always made them when I was growing up. I have not had them for at least 10 years. I had it in my head that they were too hard to make. That is not the case at all! I am so excited to share this recipe with you. I gave some to my neighbors and they called to tell me that they loved them! They were a hit! In a mixer, beat together all the ingredients. Scrape down the sides of the bowl and beat again. Taste it! It is delicious. You can leave it or favor it. Separate the mixture into 1½ cups per flavor that you what. Add a drop or two of the extract to the batter. Next use a small cookie dough scoop and scoop little balls onto wax paper on a pan. Freeze until solid. At this point, you can roll your balls into dipping chocolates and nuts, or just leave them how they are. I like to do both! Keep them frozen. I keep them in a freezer bag. When I need them I put them in a mini cupcake liner and a tin. 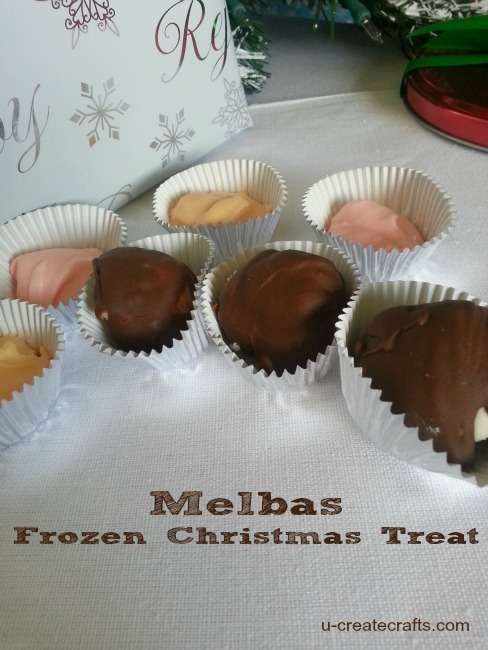 Melbas make great gifts, but I would suggest you keep some for yourself! These sound ymmy. I am putting together ‘treat’ tins for Christmas this year. I have been looking for things I can make ahead and freeze, of course these fit the bill. (And I have everything in my pantry. Mint flavored maybe…) So far I have peanut butter bon-bons and Mounds-type bars in the freezer. These will be a geat addition! Thank you for the recip. Your other treats sound delicious, too! I glad these will work for you! My sister and I have decided to use these as our food gifts this year instead of cookies. Thanks for posting! Question: About how many does one batch make? Good question. I tend to eat some…. a lot of the batch myself. I think you get 30-40 easy out of a batch. If you need a lot just scoop your balls small then you can get more. I always have enough ingredients to make two batches, in case I eat too many. 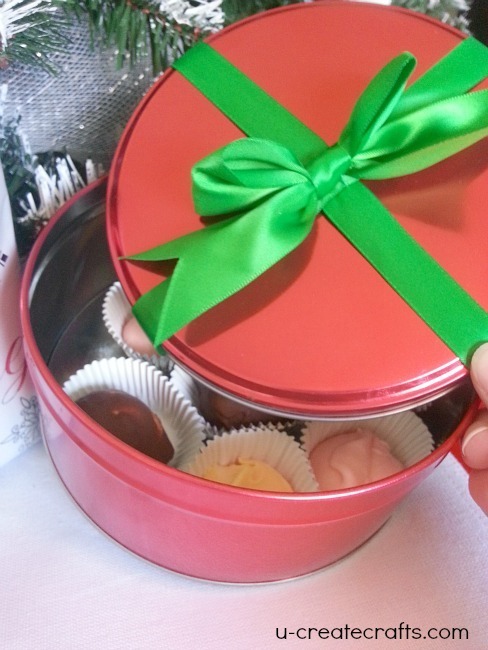 I have tasted these treats of Danielle’s and they are AMAZING! So delicious! Sugar, butter….AND no bake? Just those three things made me fall in love! Thanks! I will be trying these tomorrow! Do they need to stay frozen until eating, or is the freezer just to set them and keep them fresh? I’d love to bring them to a cookie exchange, but between driving and sitting out, I wouldn’t want them to go all melty. These sound so good and easy to make, for me that’s a winner. I will be going to the store to get the ingredients. Thanks for a sharing a great recipe. Angie, did you use condensed milk instead of sweetened condensed milk? People often make that mistake and it causes the kind of problems you had.